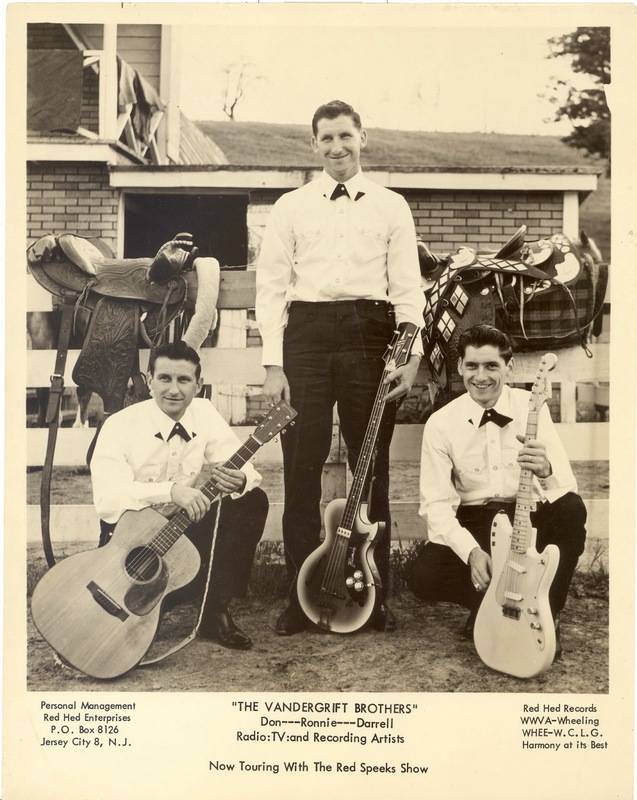 The Vandergrift Brothers, Don, Ronnie, and Darrell, were regulars on WWVA's Worlds Original Jamboree from Wheeling, West Virginia. 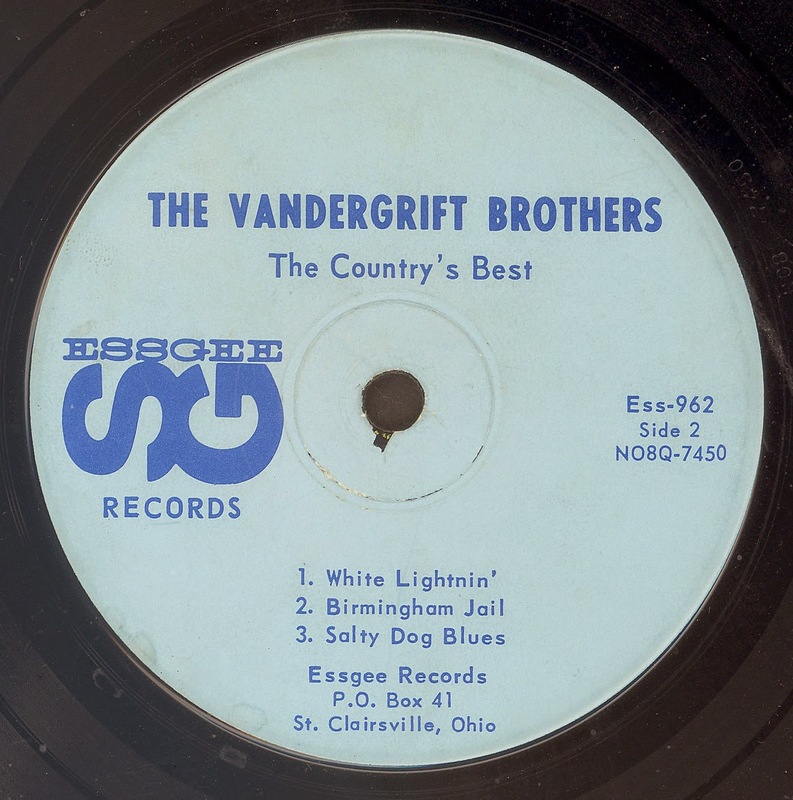 Prior to their recordings for Hardrock Gunter's ESSGEE label in 1962, the brothers had recorded for the COZY label in 1959, and would later record for both KING, and the Wheeling EMPEROR label. 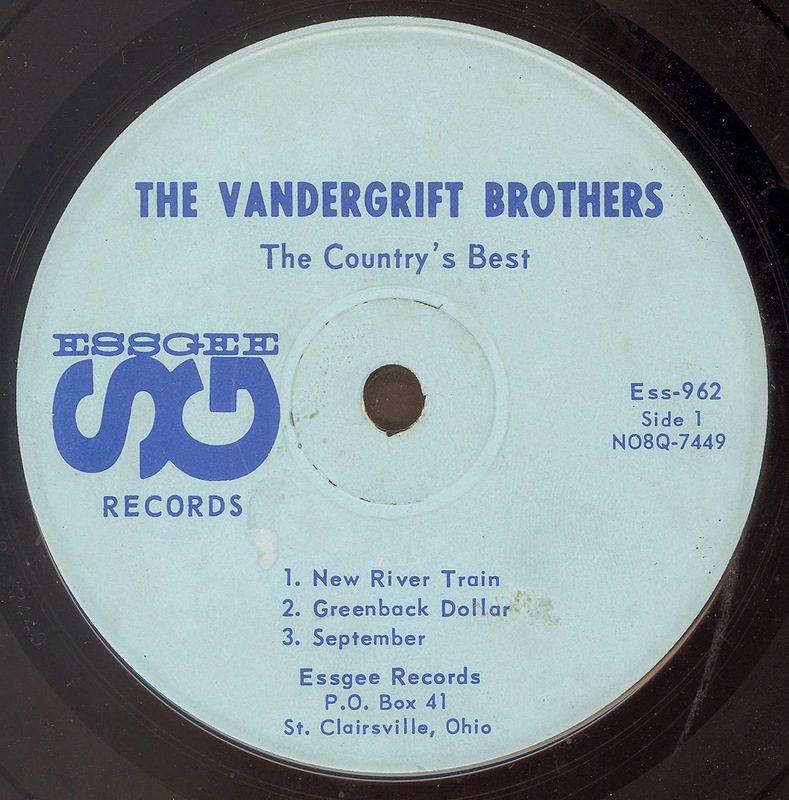 Four of the six ESSGEE recordings were subsequently reissued on a RURAL RHYTHM album. The King recording seem to have escaped re-issue. The "Corner of my Eye" is on youtube. "Who Needs your Cold Old Love" Has just been re-issued on Classic (Sweden) CD Crusin' Country vol.7. "Tomorrow Never Comes" & Hello Again Sweet Lips" I've never heard.